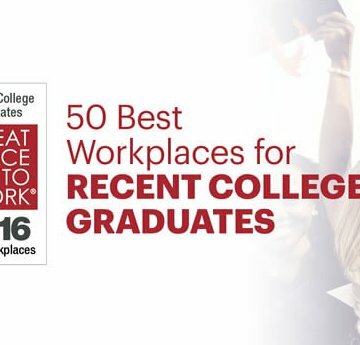 Fortune Magazine in partnership with Great Place to Work Institute has ranked ENGEO #1 in its list of the 50 Best Workplaces for Recent College Graduates. Fortune asked Great Place to Work to determine the winners by taking into account the rate at which companies are adding new jobs year-over-year, how many of their newest employees were recent college graduates, and the results on a series of questions from the Trust Index related to workplace traits important to recent graduates. Great Place to Work surveyed more than 337,000 randomly-selected employees and collected program information from approximately 600 organizations. Employees rated their organization on things including development opportunities, purpose and meaning behind their work, whether promotions are fair, and more. Two-thirds of each company’s score is based on this employee feedback. The remaining one-third of each company’s score is based on the rate of new job growth, and the extent to which organizations are hiring new college graduates. Results from the employee survey are highly reliable, having a 95 percent confidence level and a margin of error of 5 percent or less. Companies were selected from a universe of about 600 Great Place to Work-certified organizations. Organizations are certified on the basis of an anonymous 58-statement survey distributed at random to a statistically significant number of current employees.